When my husband David and I decided to retire, we had no idea where we would end up. We purchased one-way tickets from the U.S. to Hong Kong and planned to travel, staying in each place until it wasn’t fun any longer. We explored Southeast Asia and China, and found that we felt at ease in this part of the world. We laughed with Tibetan monks in isolated mountain monasteries and cruised along rivers into the heart of Borneo. We rode in buses packed with villagers and their market goods and visited remote hamlets where residents had never seen a foreigner. We stood surrounded by prayer flags on 16,000-foot passes and snorkeled among the brilliant corals in the warm waters of the Andaman Sea. After nearly three years of wearing the same few changes of clothes and never staying in one place for more than a few weeks, we were ready to put aside our backpacks and settle down. We had learned enough about Southeast Asia to know how much we liked it and we were ready for a more in-depth experience. We had been to so many interesting places; picking somewhere to stay out of all our favorites left us with a lot of choices. 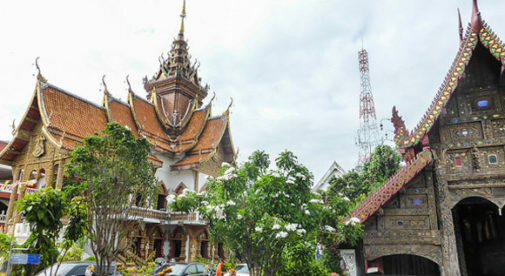 Chiang Mai, Thailand was a perfect first choice for us, since several thousand expats had already settled there. We frequently shopped and ate at the local markets, but we had our choice of Western restaurants and Western amenities, too. We talked to nearly as many foreigners as we did Thais and learned more about the day-to-day details of living overseas. We spent about six months there, but eventually got restless. There wasn’t anything wrong with Chiang Mai, we were just ready for something new. We wanted to experience one of Southeast Asia’s great modern metropolises, so we gave Kuala Lumpur a try. We still wanted it to be easy, a place with good public transportation, great food, and good shopping, where we could savor Malaysia’s amazing mix of cultures but still retreat to the familiar when we needed. We rented an apartment with stunning city views just a 10-minute walk from the Petronas Towers in KL’s super-modern city center. It was glamorous and cosmopolitan, but we eventually found that living downtown wasn’t our preferred lifestyle. We moved to Brickfields, a part of KL that is the heart of the Indian community, where we could have a more local experience. We were welcomed into the neighborhood, immersed ourselves in the culture, and made local friends. We stayed in KL for more than two years, enjoying a carefree, inexpensive life. Malaysia became comfortable, but as time went on, we again got the urge for something different. While traveling, we had always had good experiences in Vietnam, so we decided to move there. Nha Trang had great weather, a low cost of living, and was set in a gorgeous bay. We rented an apartment just a five-minute walk from the beach, took language lessons, and made many foreign and Vietnamese friends. Nha Trang was a tourist town, though, and after a year, we felt drawn to living in a less Westernized culture. We liked Vietnam, we just needed to fine-tune where we wanted to live. Now we’re in Hanoi—it’s been our home for the past four years. It’s exotic and interesting, busy, but intimate, in all the right ways. Eight years ago, when we first moved to Chiang Mai, we would have struggled in Hanoi. It took years of being exposed to unfamiliar customs and learning more about the world and ourselves before we would have felt confident enough to live here. Each step along the way has helped prepare us for the next. We have spent enough time in each area to decide how we fit in, what we liked, and what we didn’t. As we’ve gone from place to place, we’ve grown and changed—a process that will continue through the coming years. It’s still challenging and it’s still fun…and I look forward to discovering where we will end up next.